The great elevated green at The Ocean Course’s par-3 14th falls away on all sides–a real obstacle in the ocean winds. Note: Photos were taken prior to a recent bunker renovation. 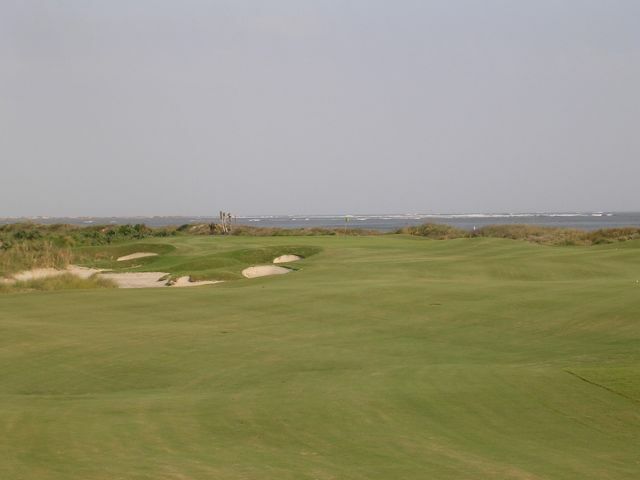 One of my favorite stories of Pete Dye involves the construction of the Ocean Course in 1989. Hurricane Hugo had just come aground at Kiawah Island and razed everything he’d built to that point. With debris still everywhere and most of the coast evacuated, Dye ventured out on a bulldozer and began reshaping the course, pushing up dunes and moving the holes out to the shapes and locations he’d originally wanted but hadn’t been allowed to build because of permitting issues or some other nattering nuisance. I’m not sure how true it is—I asked him about it once and he slid into a different topic—but it isn’t hard to imagine him taking matters into his own hands when the opportunity presented itself. One way or another he got the course he wanted. 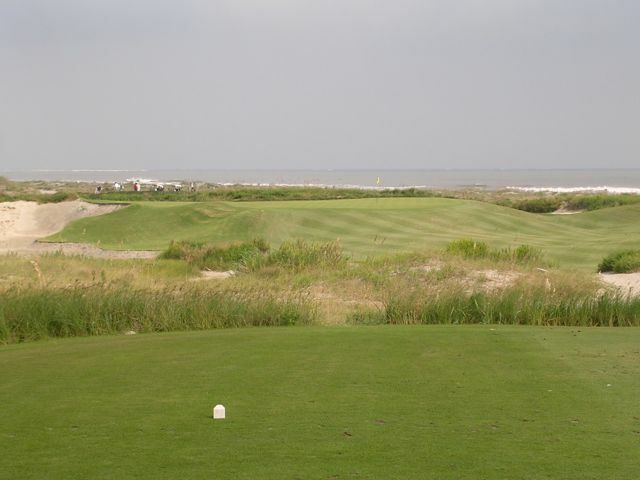 To me the Ocean Course rates among the greatest created landscapes in golf, a nearly perfect man-made inspiration that matches golf to the surrounding environment. It looks very windswept and evolved but every square inch is the product of Dye’s vision and handiwork. He did the same thing later at Whistling Straits along the shore of Lake Michigan, but with more mixed results, and his touch here seems more organic and synched. Believe me, I don’t miss the irony in saying that because those aren’t words typically used when Dye begins to endeavor upon a land. 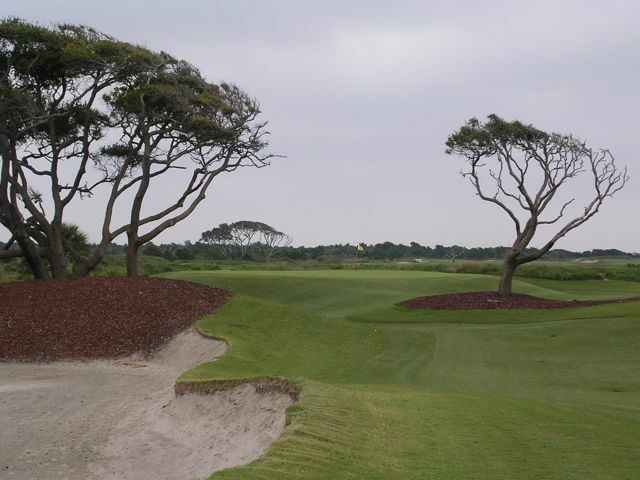 Heading out toward the dunes, a marshy inlet cuts across the drive on the par-4 4th. 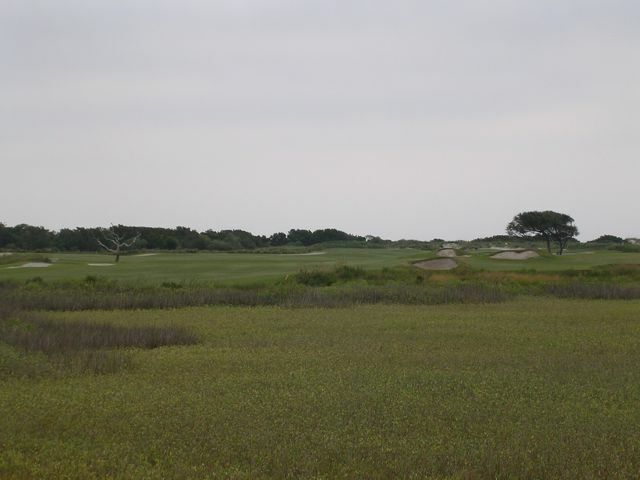 The first nine is set away from the ocean behind the dunes line and plays out and back across a marshy region. Driving the ball on this nine is great fun, especially at the 2nd, 3rd and 4th holes where you can bite off as much of the wetlands as you like, and again at the par-5 7th where you can try to cut across a flashed waste bunker and get home in two. Trying to hold your approach to the 3rd’s small Knoll green is one of the most defensive shots in southeastern golf because because you know that missing it can easily lead to two or three more futile attempts. Though just a short pitch, holding the surface at the short par-4 3rd can take numerous attempts. The second nine goes out and back along the beach with much more of a wind-struck coastal influence even though 10 through 13 sit behind one of those constructed sand ridges. But the final run from 14 in is equal parts inspiring and thoughtful. 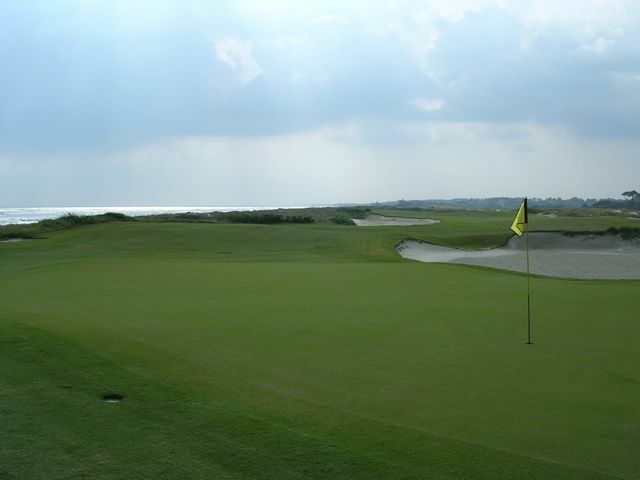 The movements of the individual holes, like 15 and 16—bending one way around a field bunker, then the opposite around various other fronting bunkers—are fairly standard Dye but take on entirely new contexts weaving through low coastal dunes, sunken areas and the brisk sea breezes. The only miss, and it misses badly, is the par three 17th set over a lake in a manufactured amphitheater. It makes great tournament theater, as it did during the 1991 Ryder Cup and 2012 PGA Championship, but it has no business being here along the shores of the Atlantic Ocean. Thankfully the wonderful curling 18th, it’s green turned back against the ocean dunes, is a great comeback. The classic Dye fade and draw movements are evident at this gorgeous look back at the par-5 16th. A difficult but perfect ending at the home hole hard on the Atlantic dunes.